The 4th International Printing Technology Exhibition of China (Guangdong) ("Print China 2019") began on 9th April at the Guangdong Modern International Exhibition Centre in Dongguan, and will last for 5 days. The event was co-hosted by the Printing and Printing Equipment Industries Association of China (PEIAC), Guangdong Printing Association, and China International Exhibition Centre Group Corporation (CIEC). 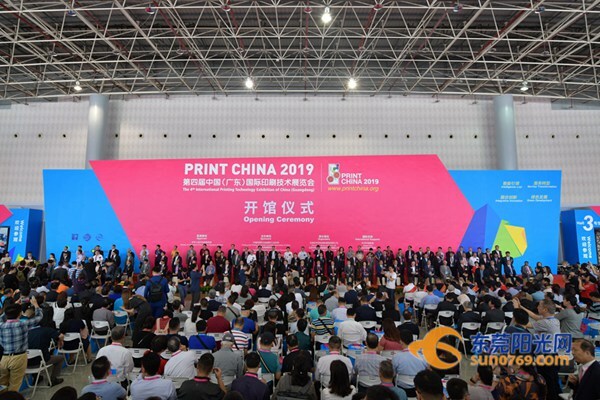 All exhibitions at Print China 2019 present the latest equipment and technology available across the printing industry, and has attracted 1,200 exhibitors, from 30 countries and regions. Forecasts estimate a minimum of 200,000 professional visitors, comprising overseas visitors from more than 140 countries and regions, will attend to source goods. The proportion of overseas visitors is estimated to be between 18%-20%.